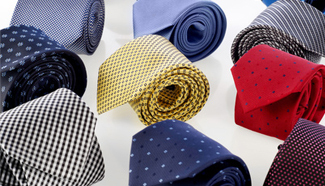 Are you looking for a great selection of embroidered scarves and personalised ties to compliment your suit, skirt and blouse or smart trousers and shirt then we have a wide range to choose from to give that professional look to all of your employees. We embroider high quality logos onto your ties and scarves because we use state of the art multi-head embroidery machines to achieve a flawless, professional look. Our logo and embroidery gives a high quality finish to your scarves or ties and will be the finishing touch to your work uniform. Our range includes a variety of colours allowing you to choose the colour that best suits your business along with the option of personalised embroidery. Browse through our catalogue and see what APS can offer you and your employees.